Pick out the unique architectural features in a space with colour. Here Frostine (AF-5) is used on the walls, paneling and door. The accent colour is Black Satin (2131-30). A carefully chosen white on woodwork can be a stunning way to define a space and create a crisp look, but it shouldn't be the default. Clever use of colour on woodwork can transform a room and even the smallest change can make a big impact. In this month's newsletter, we are featuring 4 ideas, from subtle to bold, that will inspire you to create a look that is truly unique to your home. The gentlest way to introduce colour onto your woodwork is to pick a neutral colour a few shades darker than your wall colour. This approach helps to frame certain areas of the room and adds finesse without being too dramatic. 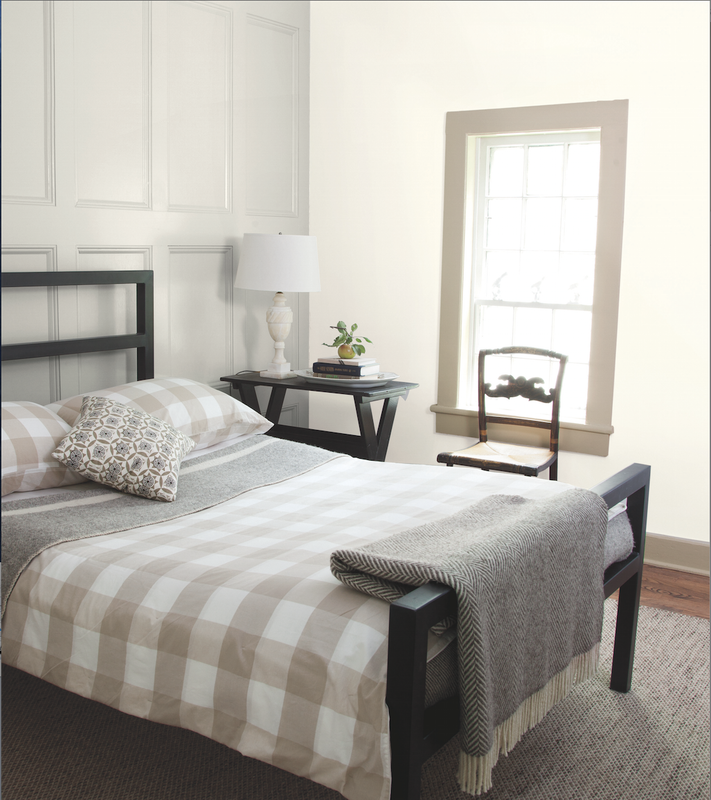 Gently accent window frames and skirting boards with Ashen Tan (996), paired with Intense White (OC-51) on the walls. 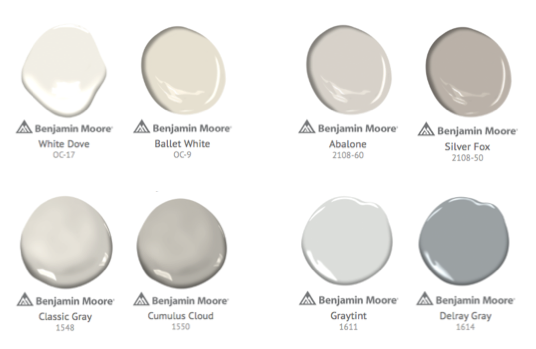 Try one of these 4 subtle neutral pairs for a soft, tonal look. Why not switch it up and use a bolder colour on the woodwork and a paler shade on the walls. This look is particularly effective in spaces where you want to introduce colour but don't want the wall shade to absorb too much light. 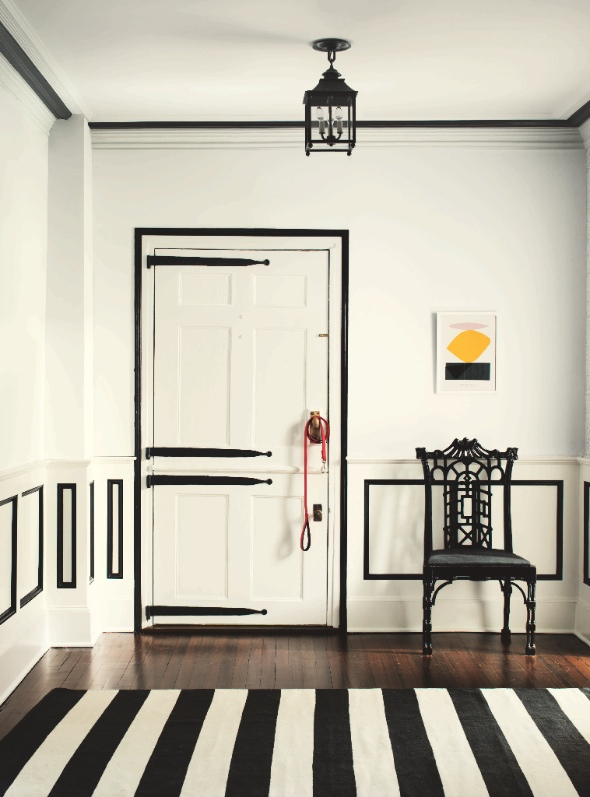 This approach is also really effective for highlighting unique architectural features, such as decorative moulding or panelling. 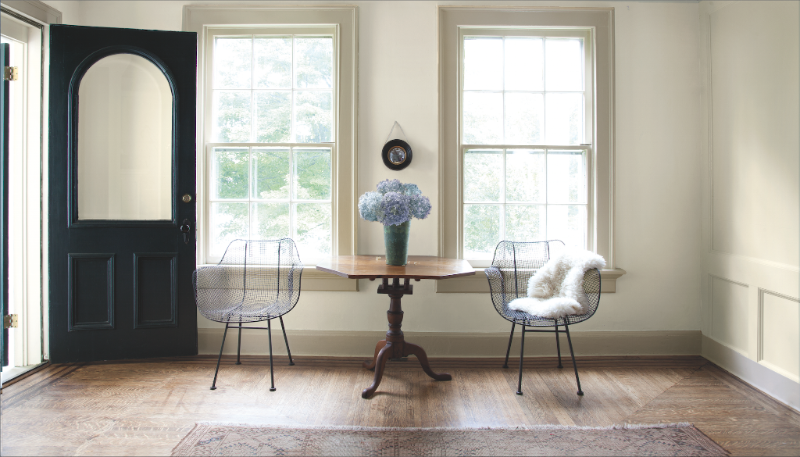 Use a lighter shade on walls and ceilings to reflect light into a space, enabling you want to add drama through a darker shade on the woodwork. 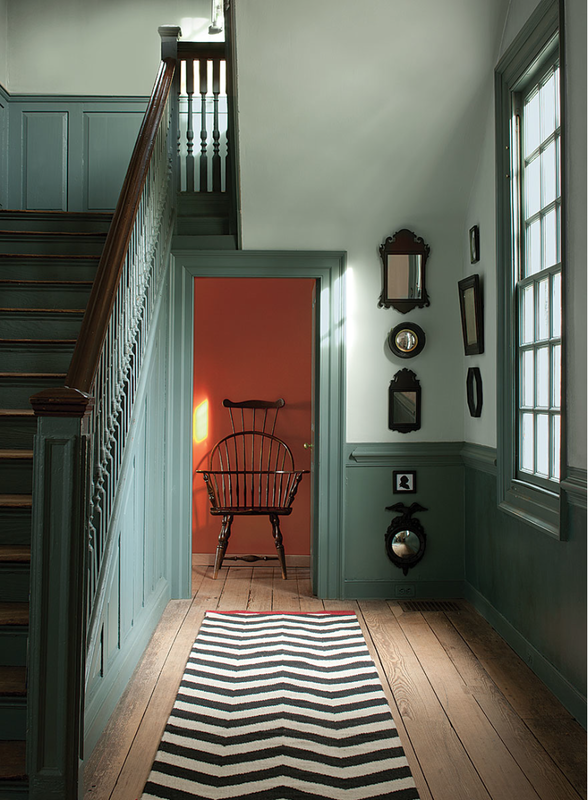 Here Williamsburg Wythe Blue (CW-590) is used on woodwork with Palace Pearl (CW-650) on the walls and ceilings. Using several shades of one tone will unify a space visually. This type of layered monochromatic scheme is particularly suited to spaces that are broken up with shelving and cabinets. Use a lighter tone at the back of open shelving with a darker shade of the same colour on the woodwork. Here the bookcase is in Lucerne (AF-530) and the walls are in Exhale (AF-515). Accentuate period features with a two-toned teal scheme. 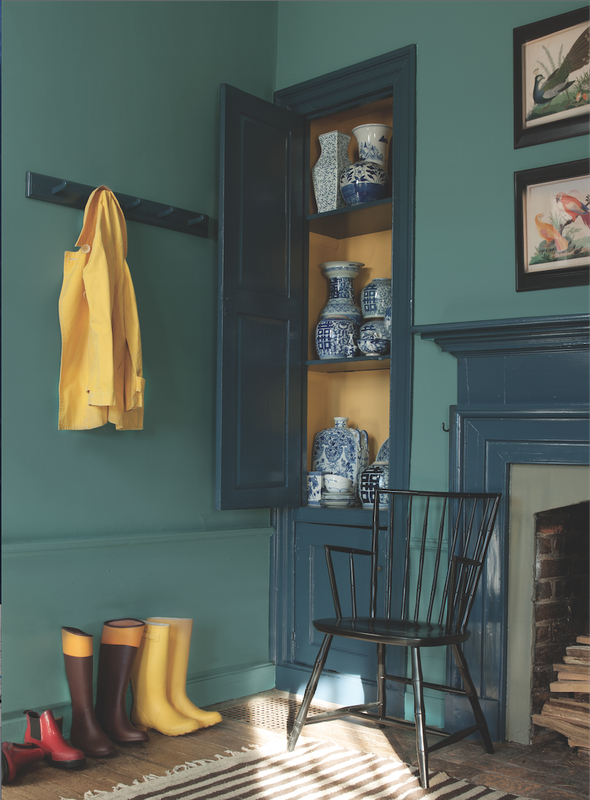 Spotswood Teal (CW-545) on the walls and Everard Blue (CW-575) on the fireplace and cabinet. 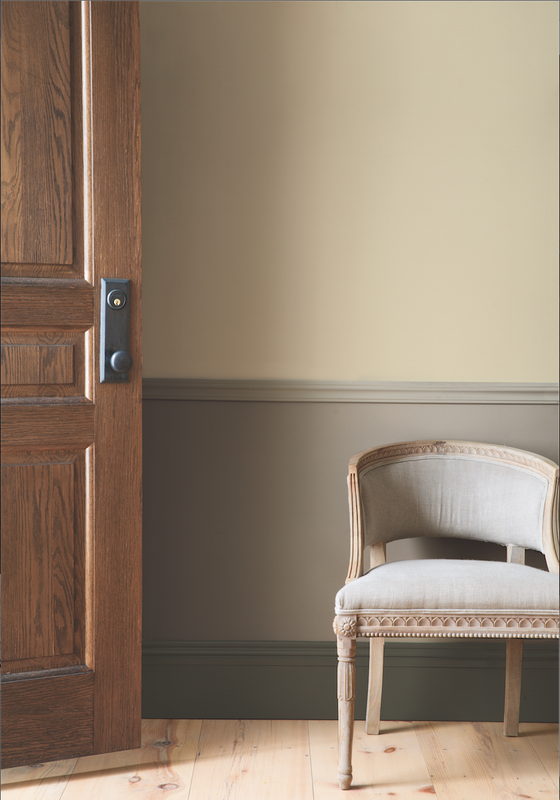 Add architectural interest by painting the walls and woodwork with different shades of one colour, keeping the darker shade at the bottom to create an ombre effect. The key here is to stick to a monochromatic or tonal palette, rather than contrasting shades, to avoid an 80's throwback. Create a gradient with a trio of tonal colours. Here the skirting boards are in Green Grove (2138-20), paired with lower walls in Briarwood (HC-175) and upper walls in Bleeker Beige (HC-80). 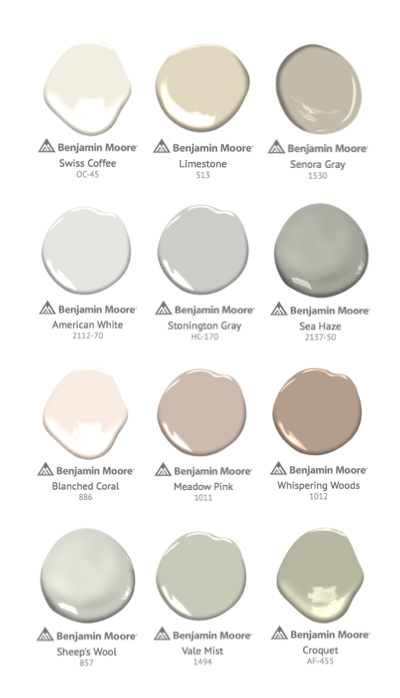 Use our "goes great with" feature to select the perfect trio of colours for your home. Don't forget to think about the sheen level you would like to use on your woodwork. Glossier surfaces which reflect more light tend to look cleaner and more crisp, whereas lower sheen levels such as eggshell, pearl and satin tend to give a softer look. For a guide to our sheen levels, click here. We are excited to announce the launch of a new matte sheen level in our much-loved Advance Water-based Alkyd paint line. 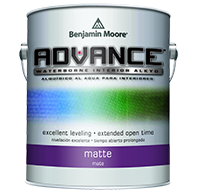 Ideal for painting woodwork, doors and cabinets, our Advance Water-based Alkyd paint is loved for its hard-wearing, furniture quality finish. It has excellent coverage and hide as well as exceptional flow and application properties. The new matte sheen level will be available in all 3,500 of our colours.